A very special Ferrari 250 GTO from the company’s golden era is coming up for auction, and if you want it you’re going to have to hope for a very, very large lottery win. It’s not actually as rare as you might think for a 250 GTO to come up for sale, despite the fact that only 36 were built, because they’ve simply become so terrifyingly valuable that selling them has become the only sensible thing to do. Auctioneer RM Sotheby’s is only too happy to oblige. Like all of its siblings this GTO has a rich history. 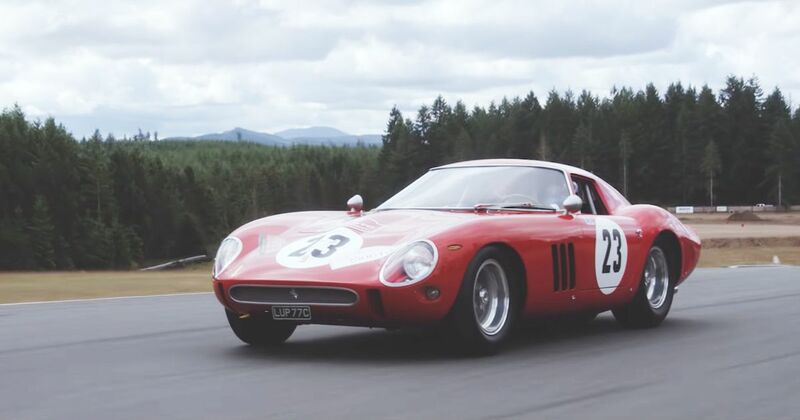 Chassis 3413 – the third 250 GTO built – has numerous overall race victories and class wins to its name in the hands of drivers and owners who, almost exclusively, are big names in the annals of Ferrari collectors’ history. Through the early 1960s it was modified with the latest innovations in bodywork design and chassis engineering by the factory and its partners Pininfarina and Scaglietti, and it kept winning races. This car won its class in the Targa Florio twice, in 1963 and 1964. It won its class in the 1962 Italian Hillclimb Championship, and its final period race ended with a win in the 1965 Redex Trophy at Brands Hatch. Past owners have included legendary privateer racer Edoardo Lualdi-Gabardi, noted Ferrari collector Neil Corner and Lord Anthony Bamford, the man behind JCB and another collector of the rarest and finest Ferraris. This time it’s being sold from the collection of Dr Gregory Whitten, which is said to contain a mind-boggling array of super-rare cars. To Dr Whitten’s credit he has allowed the car to be displayed and used regularly, including several GTO anniversary events, the 2011 Goodwood Revival and four seasons racing in the Shell Ferrari Challenge between 2001 and 2008. It’s an authentic classic in every sense, with history and racing provenance, and has always been used the way Ferrari intended. It’s the kind of car people will pay insane sums for. It looks like someone is about to do just that. Please confirm you agree to the use of tracking cookies as outlined in the Cookies Policy.